Gould Evans Partners with UDL on New Space Design Strategies | whitespace. For years, UDL has been in practice around the globe, yet it has been silent on the significant impacts that space design can have on learning. Two years ago, Gould Evans began a partnership with the UDL-IRN (Implementation and Research Network) to remedy this gap. As Gould Evans continues our design work with multiple inner city schools, and hosts enrichment programs through our own STEAM Studio, we continually see educators attempting to teach to the average student, and as a result, students are getting lost through the cracks only to become disenfranchised by the education system. This is because “the average student” is a myth. Sadly, far too many of these disenfranchised students are the kids that quickly find themselves in the “school-to-prison pipeline” according to many research studies. It is urgent that all educators recognize the different types of learning barriers experienced among the diversity of learners in our schools, especially those in undeserved neighborhoods – racial barriers, ethnic barriers, language barriers, cultural barriers, family barriers, and so forth. A highly adaptive model for personalized learning is critical to reach the multiple needs of these learners, delivered by well-trained educators. However, space is often overlooked for the value it plays in creating positive and effective learning environments. 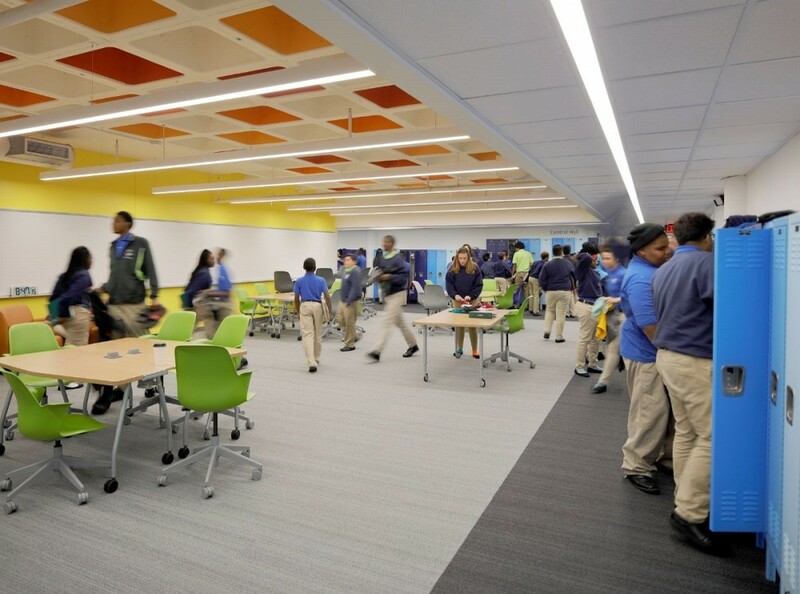 KIPP Endeavor Academy, renovated by Gould Evans, has given its inner-city students a renewed sense of pride and increased their passion for learning (Image credit: Aaron Dougherty). Therefore, if we accept that space affects behaviors, and behaviors, over time, affect culture, and culture trumps strategy, then hadn’t we better make sure our learning spaces are in alignment with our learning strategies?! We can create all the educational strategy we want, but without proper alignment of the spaces we teach and learn in, we’ll be fighting a continual uphill battle – our efforts with our instructional models will be discordant with the spaces they occur in. 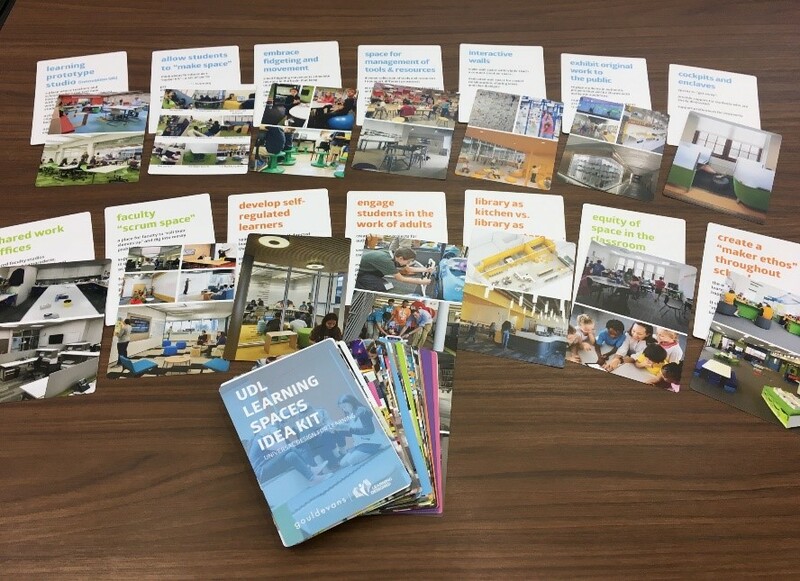 Enter the UDL Learning Spaces Idea Kit! 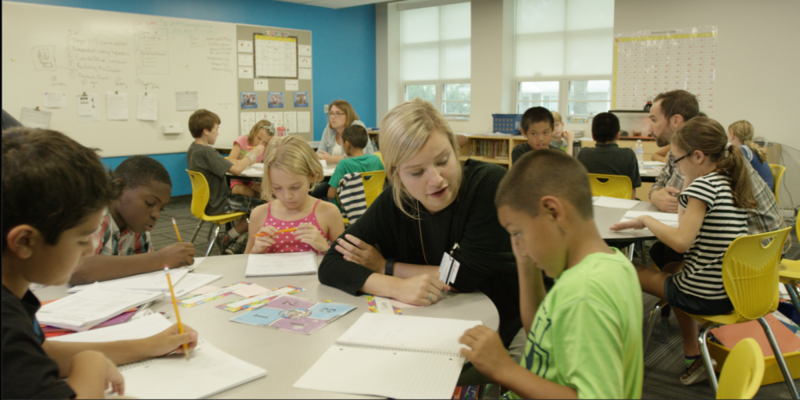 Designed through an interdisciplinary collaboration of architects, educational researchers, educators, and learners themselves, the Idea Kit is a tool to help educators amplify their efforts with UDL practices via strategic design of their learning spaces. It gives everyone a common design language to share. And it sparks new ideas, helping educators and school leaders become more attuned to the ways that space design stimulates, or impedes, the positive learning characteristics proven effective through research. The ideas on the cards are all cross-referenced to an online Reference Guide which links the specific space design ideas to UDL guidelines. 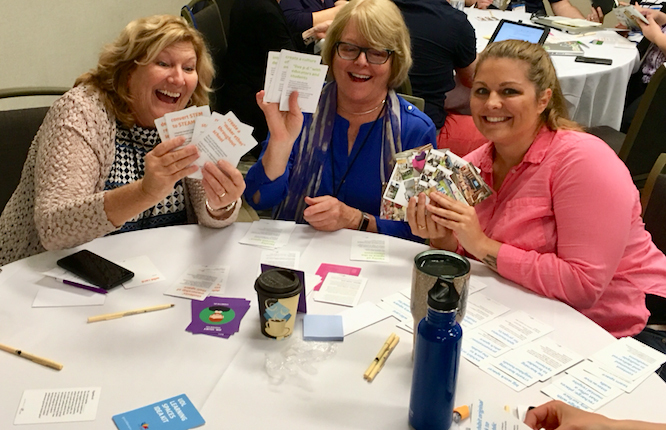 This is valuable for those less familiar with UDL, yet, the simplicity of the cards also enables them to be used whether you’re a UDL practitioner or not. The Idea Kit will lend the most value to a school if utilized as part of a facilitated half-day workshop led by one of the team members who helped in the development of the kit. 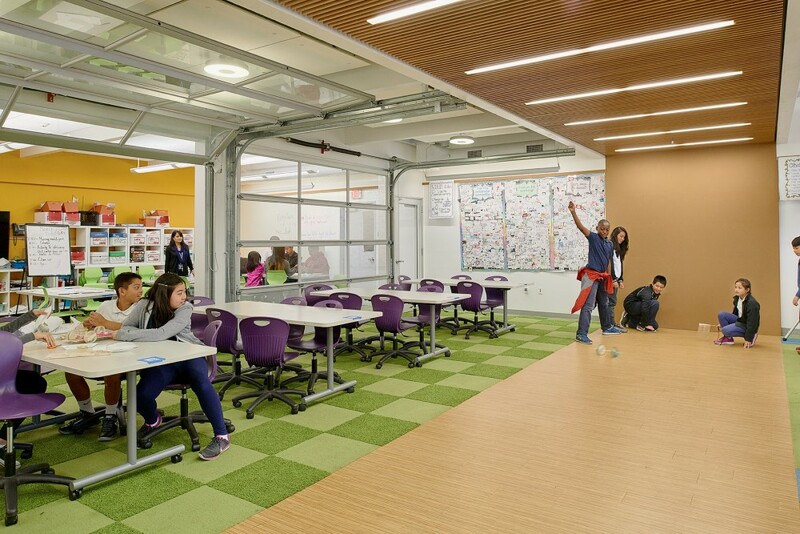 We know through our work at STEAM Studio and in our Education Design Practice that space can be a powerful catalyst to help reluctant and discouraged learners rekindle their confidence and passion to become strong life-long learners! Help your students find this confidence and passion today! To find out more about organizing such workshops or obtaining your own Idea Kit, click here.